This is an automatic version of our very own Pure AK. Created by crossing the Pure AK with the Lowryder, stabilizing it while maintaining the original AK characteristics. As with any autoflowering strain the Auto AK does exhibit variation with the slowest pheno finishing in about 90 days. An autoflowering cannabis version of the Bubble Gum. Originally the Bubble Gum was developed by growers in Indiana, USA. From there the genetics moved to New England and eventually Holland. An autoflowering Cannabis Haze. As most autoflowering cannabis seeds out there are more influenced by indica genetics instead of sativa, we could not wait to try this Auto Haze. The cannabis Haze is a variety which has never been easy to grow, but with this autoflowering haze times are changing. She only needs 11 to 12 weeks from seed to harvest. An automatic version of the cannabis strain named after the Hindu Kush mountain range. 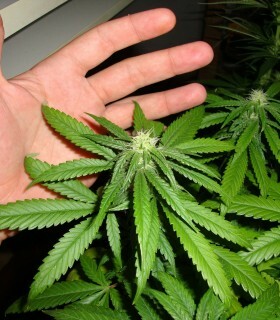 Kush cannabis plants hail from the region bordering with Afghanistan, Iran, Pakistan and Northern India. This variety has already been undergoing constant changes for 15 years: higher flowering rate, sweetened buds, less abundant and thinner leaves, which have generated greater production in the green sea (SOG). This cannabis strain has been undergoing constant changes for 20 years now; higher flower rate, sugared buds, fewer and thinner leaves resulted in higher yields in a S.O.G. 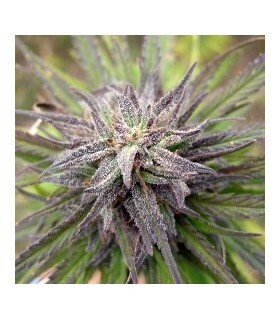 But it is still the same strong cannabis product, with the original Northern Lights smell and taste. 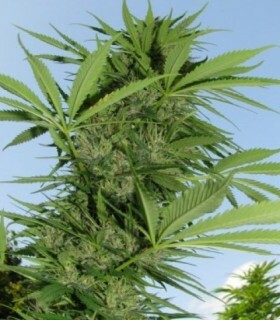 The Auto Speed Bud stems from the Early Misty lineage. That was bred by Ferry and released through Nirvana Seeds. It is the predecessor of the autoflowering strains. The line we used to create the Auto Speed Bud was specially selected on speed and dense, resinous buds. Low leaf production, with more flowers than leaves. Auto White Widow x Big Bud is now available as an automatic flowering version of our world best seller, White Widow x Big Bud. This strain and the Auto NL are the two best-selling autoflowering strains for good reason: the plants are vigorous and produce enormous buds with glistening trichomes. Our Blueberry Cheesecake (Cheese x Blueberry multiple hybrid) was selected from an extremely vigorous, smelly mother. We tried to recreate a very special phenotype we once found that had a really amazing Blueberry Cheesecake smell. And we succeeded! 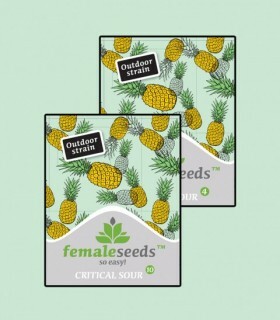 The Critical Sour can be considered as part of the next generation of Female Seeds hybrids. Our aim was to create a variety of outdoor ripening very early. Depending on your region, it may end in early September. It's a big production company covered in trichomes. 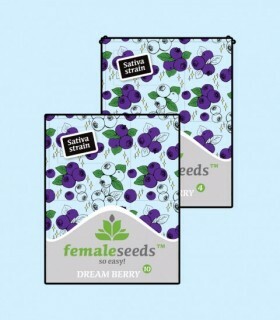 Dream Berry produces medium to large-sized buds. It develops buds predominantly hard as rocks although the ones in the lower branches are more open. When he's well healed, he'll have a huge appeal in the bags. The plant is relatively short and compact, with many leaves and wide lateral branches. 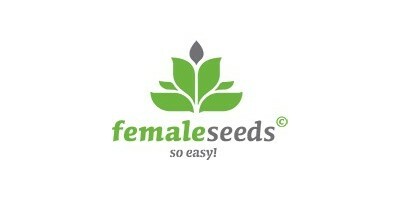 Easy Sativa perfectly embodies Female Seeds’ motto. 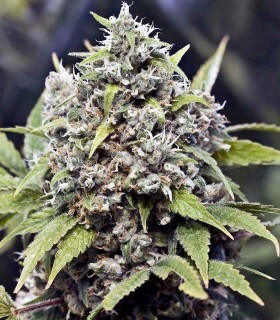 This strain, is exceptionally easy and straightforward to grow. The perfect strain for an outdoor newbie. Not a fussy feeder whatsoever. Easy Sativa is just “so easy”. The initial Grapefruit was created in 1998 as a regular strain from a special C99 clone crossed with an automatic strain to improve flowering time. So, this strain has been around for nearly 20 years! 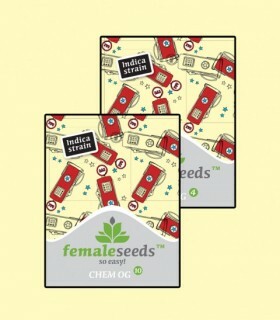 Grapefruit was improved over the years and the female version was launched in 2003 at the start of the company Female Seeds. 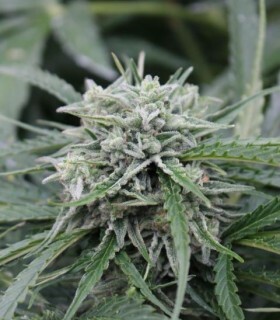 The ICE cannabis strain is a selected phenotype from a Skunk Special x White Widow hybrid that was then crossbred with a Blueberry to improve the taste. She was selected out of 500 females, because of her amazing yield, resin production, taste and smell. Whilst experimenting in 2004, Ferry produced this most interesting cross. It was launched to great acclaim in 2005.The perfect marriage between our Grapefruit and ICE. The Iced Grapefruit is the perfect mental painkiller. 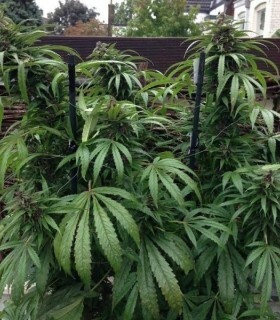 Our Maroc is a genuine outdoor cannabis strain. We wanted to stick close to its original ancestors so we specifically bred to obtain that sought-after, resinous pheno. We were able to come very close to that unique Ketama smell by stabilizing over several generations. To reduce flowering time we crossbred her with an Auto NL. It all started from a small seed batch of Grapefruit inbred with Easy Sativa. We then knew we were on to a winner. And so, the project was started back in 1990. An 80% Grapefruit selected due to its early and fast flowering features. It was stabilized over several generations and is now part of our permanent collection, due to the success of the first batch. A cross of our old and trusted Purple Power with a big fat tasty Moroccan mother. The mother was selected on symbol and taste, she adds power and resin production to the Purple Power. Both cannabis strains are super early and the fastest varieties available for outdoor in cold/mountain climates. Obtained from a breeder in Canada 2011, Ferry got to work. Out of the three phenos he selected the most beautifully looking purple/blue pheno and crossed it with the ICE to stabilize it and improve its production. SexBud is the product of years of hard work. This is the spectular result of a cross of a special White Grapefruit phenotype with our legendary C99. Sexbud was launched only recently (2015) and has since been gaining popularity rapidly. Our Skunk Special, a.k.a. 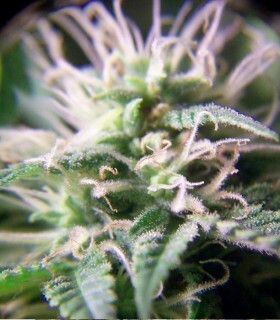 Red Skunk, stems from the infamous Red Skunk clones that conquered the Netherlands in the late eighties/ early nineties. Ferry started working on the Skunk Special in the nineties. The Skunk Special is the result of several S1 lines inbred with a 25% of Automatic.